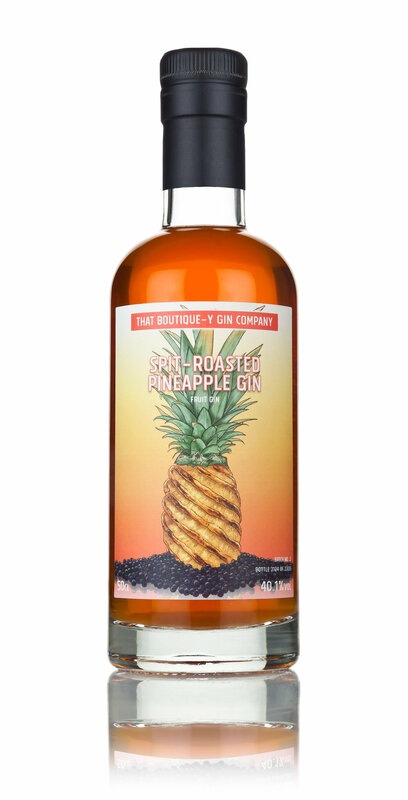 In light of growing fears surrounding the state of UK exotic fruit imports, we have taken a significant step towards securing the future of our flagship gin - Spit Roasted Pineapple Gin. “The price of pineapple has been soaring uncontrollably and they’re going to become increasingly hard to get hold of. We had a limited window in which the price dropped enough for us to make a large purchase. With Brexit around the corner, it was now or never.” says Boutique-y’s Jennifer Ghosh. The ‘large purchase’ of £10 million worth of pineapples, is the largest ever single purchase of pineapples by a UK private company and we will require a decommissioned oil tanker for shipping. So big is the purchase that on Friday 29th March, we informed our Boutique-y team that they will no longer be able to work from the Kent office, as the space is needed for our record-breaking pineapple order. The 10,000 tons of pineapple is enough to fill Boutique-y’s two ginormous warehouses and main office. Sure, it is very likely to cause significant disruption to the surrounding area but, we plan to reach out to nearby businesses with an unlimited supply of our signature serve: Pineapple Mule (Spit-Roasted Pineapple Gin and ginger beer with a squeeze of lime - delicious-y!). Well, here’s hoping everything turns out fineapple. Ah yes, ‘tis the season. ‘Tis the season for eating too much, singing too much and somehow, conjuring up the excitement to watch the same festive films you’ve watched every single year since day dot because, well - they don’t make ‘em like they used to. The same can be said for how we serve up our favourite festive tipples. Is it always that delicious-y creamy liquor over ice because “go on, it’s Christmas”? How about a dash of orange juice in your Christmas morning champers because “oo, now Christmas has really started”? We’re not knocking your Christmas traditions, simply suggesting there could be room for a new one. Why not try some-gin different? The classic G&T. So fresh, vibrant and when done right - oh so delicious-y. But we felt it was our Boutique-y duty to let you know there are many wonderful ways to enjoy a gin at Christmas. You could start by picking the most Christmas-y gin you can get your hands on… . Gingle All The Way Gin, we challenge you to find a gin that captures the festive spirit like this one*. We begged and begged Boutique-y Steph to treat us to some delicious-y ways to serve and share this bottling with friends (and show off a little). As ever, she did not disappoint. Real easy to whip up at a moment’s notice. It’s fresh, juicy with a zing of citrus. For the ones who aren’t a huge fan of all things mulled but, do want to keep their hands toasty while you’re trying to figure out the fireworks display. Elegant, a touch of a citrus with a comforting apple crumble cuddle. Easy on the custard though, that stuff curdles. You can purchase your very own bottle of Gingle All The Way Gin right now from any ASDA store or online but, we suggest you get a gingle on because it’s a super exclusive release and stocks will only last so long! *Yuletide Gin doesn’t count. No, it doesn’t. The last three years have seen the meteoric rise of a particular type of gin, whose name is both simple and surprisingly confusing; namely, “Pink Gin”. Today, an exact definition is hard to fashion beyond “a gin that is pink in colour” and, in honesty, it is little more than that. But that has not always been the case…. The original Pink Gin (the proper kind), a simple mix of gin and Angostura Bitters, has its origins in the 19th Century, but it was not until the 20th Century that the term became widely used and it was likely popularised during the First World War. A 1900 article from the Pall Mall Gazette mentions the popularity of a “frothy mixture of gin, angostura and ice” in the West Indies; although the term “Pink Gin” is not mentioned specifically this certainly describes one. A 1928 article describes the drink as being prevalent in China, where trays laden with wine-glasses of gin, a bottle of Angostura, and a jug of water were served to and enjoyed by British naval officers. By the 1950s, Pink Gins were often used to advertise both gin brands and Angostura Bitters with tag-lines like “How much rosier everything is with pink gin!” and, just like the colour of the drink, the future of the Pink Gin looked rosy. In the last few years, another meaning has developed for “pink gin”: the rather unimaginative definition of “a gin what is pink”; how bourgeois! The modern trend for pink gins started around 2011, but got turbo-charged a few years later with the surge of strawberry gins from Spain, all of which were known as “Strawberry Gin”. When the trend finally reached the UK, a number of variants were released on the market with the moniker “pink gin” and, for now, the name has stuck. Proper Pink Gin uses vacuum-distilled Angostura Bitters; the vacuum distillation process removes all of the colour and bitterness, whilst retaining all of the other flavours. This is added to gentian distillate (to add bitterness) and lemon distillate (to add the zesty liveliness you would usually get from a garnish), before being combined with a gin made from a classic mix of botanicals. Each bottle is then finished off with a dash of Angostura Bitters and a natural pink colour. Nose: Zesty lemon, along with complex, earthy spice and a hint of toasted Welsh cakes. Taste: Bold, vibrant and dry; a rich symphony of spice with any sweetness neatly balanced by the clean earthiness of gentian. Finish: A residual woody spice, accompanied by the gentle warmth of cracked black pepper. The gin is a delight to drink neat with a couple of ice cubes; it contains everything you need for a Perfect Proper Pink Gin. For a colder option, shake it vigorously with ice cubes (dry vermouth optional), before fine straining into a Martini glass. The result is a delicate shade of rose and the shaking adds a pleasant, soft fluffiness. Very easy to sip. A crisp, bright and refreshing drink with a great complexity thanks to the added distillates and bitters. Today is the fourth day in May (May 4th for our cousins across the pond), which is also known as Star Wars Day - “May the Fourth Be With You”. To celebrate, we’ve come up with some intergalactic cocktails using the Boutique-y Gin range. A cocktail inspired by the desert-dwelling junk traders of Tatooine. In a galaxy, far, far away “Jawa Juice” is rumoured to be a bitter alcohol fermented in Bantha hides; thankfully, this drink is far more palatable. Make two honeydew melon balls using a melon baller, carefully place on a cocktail stick and place in the glass. Add ice to a Gin Tonica glass (ideally a short-stemmed one, given the jawas’ short stature), then the melon balls, followed by additional ice. Add the gin and chilled coffee (it works particularly well if these have already been mixed together) and top-up with the cola. Pan-Pacific Gin from the folks at Gin Farallon has a lovely, bright citrus element from its yuzu, whilst schisandra berries add a sweet jamminess. The coffee in this drink adds a balancing hint of bitterness and the cola adds length, sweetness and complex botanical flavours. Finally, the ginger from the gin lingers on the finish. As seen in The Last Jedi, this self-indulgent oasis is set amongst an otherwise barren desert landscape. Canto Bight is a sumptuous and extravagant playground for the rich, famous and fabulous, and this cocktail would fit right in. Add to a champagne flute glass in this order: Yuletide Gin, chilled sparkling wine and, finally, the truffle bitters. A decadent and effervescent drink - exactly what the inhabitants of an inter-stellar Monte Carlo would sip whilst gambling at the luxurious tables of the grande casino. The spice of the Yuletide Gin works well with the dryness of the wine, the gold flakes dance amongst the bubbles in a rather glamorous way, and the truffle bitters add an extra splash of decadence. Appearing for the first time in Episode V Dagobah, is a swamp planet populated largely with indigenous wildlife. The film’s atmospheric scenes make it a great inspiration for cocktails. Greensand Ridge’s Salt Marsh gin inspired by a similar environment was an obvious choice for this drink. Before adding any ingredients, line the glass with the cucumber peel. A vegetable peeler is the perfect tool with which to make the ribbon. Fill the cucumber-lined glass with ice, before adding the gin and juice (it works better if they have already been mixed). Add ice and carefully pour the Midori down the inside of the glass to create the “Midori sink”. 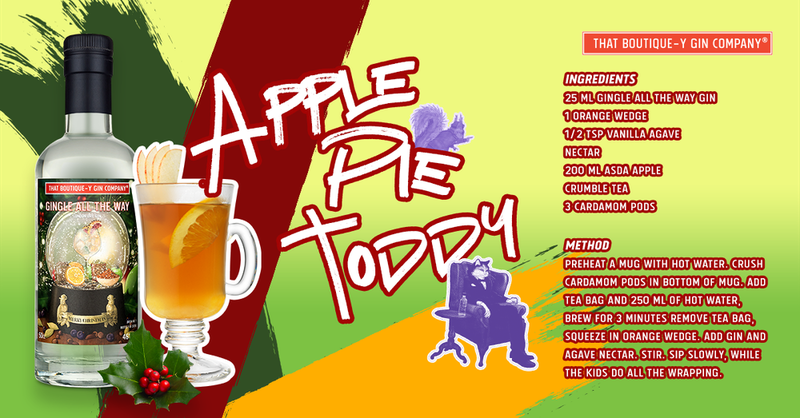 A flavoursome drink with the gin adding pleasant, leafy, herbal notes along with some light floral notes that contrast neatly with the succulent crispness of the apple juice. The Midori adds yet more fruitiness, a touch of sweetness, and a luminous green glow towards the bottom of the glass. Picture the scene: you’re flying your starfighter, “S”-foils locked in attack position, and you suddenly have the urge to turn off your guidance computer, all whilst you're trying to destroy the most terrifying battlestation in the galaxy. After having your life saved by a scruffy-looking nerf-herder and saving the day, you deserve a well-earned drink! Fill a wide-brimmed hi-ball glass with ice, then add the gin, followed by the vermouth and then the sparkling water. Finish off with a few dashes of bitters and lightly stir. Take a tinned pineapple ring and - after the drink has been made - place it a-top the glass. Add three red grapes to a cocktail stick and serve on the side. The grapes represent proton torpedoes and the pineapple ring, the thermal exhaust port, allowing you to recreate this classic scene from the movie. A very dry drink with the bright zestiness of the yuzu working well with the dry vermouth and clean crispness of the sparkling water. The orange bitters add a delightful aromatic flavour. For a sweeter drink, substitute the sparkling water for tonic water or even sparkling lemonade. A dedication to the actor who played Grand Moff Tarkin (the chap in charge of the Death Star). So great was Tarkin’s power, he not only out-ranked Darth Vader, but also commanded the battle station wearing his slippers. This cocktail, in honour of the gentleman and the actor, Peter Cushing, is made from completely vegetarian ingredients (he was a patron of the Vegetarian Society). Smooth, but complex, with notes of juniper, coriander, and a light note of black pepper that integrates well with herbal notes and gentle warmth of the ginger wine. The flavour develops more as you sip, with gentle berry notes and ginger building and lingering, and adding a delicate, but not overwhelming sweetness. The finish also builds with notes from the gin, including a greener, herbal juniper flavour. Sophisticated and delicious. Worlds collide (or should that be barrels?) as David T Smith gives us the low-down on Cotswolds' Double-Barrel Gin. The Cotswolds Distillery, located in the picturesque Shipston-on-Stour, was founded by Daniel Szor in 2012 and they released their first gin in 2014. 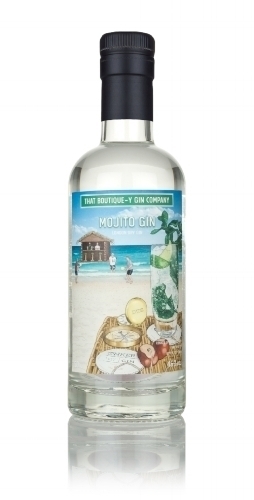 Their flagship Cotswolds Dry Gin is a botanically intense gin whose recipe includes: juniper berries, coriander seed, angelica root, cardamom, lime, grapefruit, black pepper, lavender and bay leaf. In addition, the distillery has released a series of limited editions, some only available directly from the distillery shop. These include: Hedgerow Gin, Baharat Gin, Chamomile and Hop Gin, and Countess Grey Gin. In 2016, they also released 1616, a gin that harked back to the time of Shakespeare. It had a botanical mix including juniper, cassia, nutmeg and orange peel, included some of their unaged single malt spirit, and was aged in ex red-wine casks. Since their return to the market in 2007, barrel-aged gins have slowly and steadily been growing in popularity bit by bit. Many relied on the tried-and-tested method of ex-bourbon cask aging for 3-6 months, which adds a pleasant, mellow sweetness to the spirit. A number of great products are made like this, but it can sometimes leave the more adventurous gin drinker wanting more. To make Cotswolds Double-Barrelled Gin, the distillery age two batches of Cotswolds Dry Gin: the first in ex-red wine casks and the second in ex-bourbon casks. The two are then blended together. As well as providing additional depth and complexity to the gin, this method is also a nod to how Cotswolds makes its Single Malt Whisky, which is made using spirits aged in these two types of casks. A rare insight into the Cotswolds Distillery’s secret research laboratory, where all sorts of marvelous creations are experimented with. On the back wall, you can spot the Cotswolds botanical library, featuring single distillates of a wide range of interesting flora. In the front and centre of scene are distiller, Nickolas Franchino, and Dan Szor, who have together created an unholy hybrid of a barrel - a cask-fusion of red wine and ex-bourbon staves. They laugh maniacally as they challenge the forces of nature and defiant flashes of lightning bring their creation - a modern prometheus - to “life”. Nose: Fruity, woody, and resinous. Intriguing, with a great ability to draw you into the glass. Taste: Zesty and spiced woody notes - rather vivacious! Rich fruity notes of plum and grape, with cinnamon sugar towards the end. Finish: Long and lingering; a lovely balance of juniper and black pepper. 1) Can you describe the inspiration / development process behind this gin? 2) What makes this gin different from the rest of your range? Our flagship Cotswolds Dry Gin is unaged, and our only barrel-aged gin – 1616 – is a whisky-based gin akin to a Dutch Genever. This is the only available barrel-aged expression of our Dry Gin, and we think it’s come out rather nicely! 3) Do you have any suggested serves / cocktail recipes for the gin? Place the first 4 ingredients into an ice filled shaker, shake and strain into ice filled copper mug & top up with Ginger Ale – stir & serve. Embelish with mint, lime & ginger. As we find ourselves in the depth of winter, with early morning frosts and the occasional flurry of snow, drinkers’ thoughts rightly turn to the hot toddy and other cosy spirits that are like a snuggly hug in a glass. For gin lovers, this is often in the form of sloe gin. The world and its dog seems to make sloe gin, with each person having their own secret recipe and ritual. I have it on very good authority that even Prince Philip makes, or at least he used to make, sloe gin for the Royal Household. - Whittaker’s Gin Pink Particular. 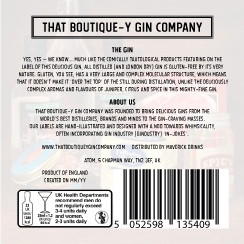 That Boutique-y Gin Company Double-Sloe Gin uses Whittaker’s Clearly Sloe as a base (this is their redistilled - and therefore clear - sloe gin), to which are added extra sloes, as well as a gentle sweetness. The result is a gin that is both complex and has a deep sloe character, with a wide range of aromas and flavours coming from each stage of the production process. A slightly spooky scene: front and centre is a black rabbit with glowing sloe berries for eyes; whilst it may initially appear to be sinister, it’s far more mysterious than menacing. The spooky label is a nod to the fact that the Clearly Sloe (is like a “ghostly” (transparent) version of a traditional sloe gin. In the background, a supermoon illuminates two local landmarks: Ripon Cathedral and the famous Betty’s Tea Room in Harrogate. Nose: Soft, but with plenty going on: fleks of cherry blossom, almond and vanilla blossom before the nose settles into plump, but dry notes of sloe and pine. Taste: Slightly nutty and oily to start with deep, rich and crisp pine notes - fresh and invigorating. Notes of sloe berry follow: tart, but with a ribbon of sweet vanilla and cherry running through it. This is certainly a “ginnier” sloe-flavoured gin that is both dryer and more mixable. If the old liqueur sloe gin was the king of winter gin drinking then, thanks to Double Sloe, the king has lost his crown. There is a real beauty in the simplicity of this drink. The light ginger notes work incredibly well alongside the jamminess and slight tartness of the gin. A delight to drink. Add gin to a flute glass and top-up with prosecco. Another very simple drink to make, but one that brings out the plump fruitiness in both the spirit and the wine marvellously. A great way to start a festive party. Add ingredients to a well-iced tumbler glass and gently stir before topping up with sparkling/soda water. This drink is dryer than your typical Sloe Gin Fizz, and a good choice for an aperitif to help raise the appetite. A crisp drink with a complex character. Australia is on our mind right now - not just because we're sick of this cold winter, but because finger limes are amazing! David T. Smith gives us a look at That Boutique-y Gin Company Finger Lime Gin. The finger lime (citrus australasica) is a citrus fruit similar in size, shape and appearance to a gherkin. Inside the fruit’s slightly crunchy skin are innumerous round, tangy globules that pop in the mouth with a zesty zing, hence their nickname: “lime caviar” - an apt description. Finger limes are endemic to Australia and grow around the borders of Queensland and New South Wales. The plants are relatively short and thorny, and form part of the scrubland in the region. That Boutique-y Gin Company Finger Lime Gin is made using a mix of classic gin botanicals to which whole finger limes are added. The final product, bottled at 46% ABV, is a zesty and lively gin with a hint of intrigue. The label shows a colourful array of cracked finger limes sat atop a mound of ripe juniper berries; the zesty caviar oozes forth from the fruit. Nose: Lemon and lime sherbert with a hint of violet and turkish delight. Taste: A creamy mouthfeel with notes of vanilla and a mix of lime jelly and lemon posset, then a gentle hint of cinnamon spice and a touch of key lime pie before more dry, earthy notes. Finish: A bright finish of lime zest; effervescent with a leafyness and a touch of pink peppercorn. Add ingredients to a tall, well-iced glass. A long and refreshing drink with lots of oily citrus, a light creaminess and more floral citrus notes to finish. Bright and delicious. Wowzers! That is a fine Gimlet. It really brings the various lime elements to life, producing a very vibrant drink with great depth that is both well-balanced and graceful. A must try. Shake ingredients vigorously with ice and fine strain into a cocktail glass. This is a dry, crisp cocktail that really allows some of the more nuanced, creamy aspects of the finger lime to come through. If there is a flavour that we at That Boutique-y Gin Company know works well with gin, it’s cherry; the popularity of our Cherry Gin shows that the world of gin drinkers likes it, too. Another flavour that works well with cherry is chocolate and so for this release we have teamed up with McQueen Gin from Trossachs Distillery; they are already well-known for their mint chocolate and mocha gins, so it seemed like a bit of a no-brainer. Trossachs Distillery, located in Callander, Scotland, are the team behind McQueen Gin, founded in 2016 by Vicky and Dale McQueen. Vicky has a background as a chef and Master Baker, whilst Dale is a chartered mechanical engineer. Their initial gin line-up consisted of “Sweet citrus”, “Smoky Chilli”, Chocolate Mint” and “Mocha” (aka chocolate-coffee). 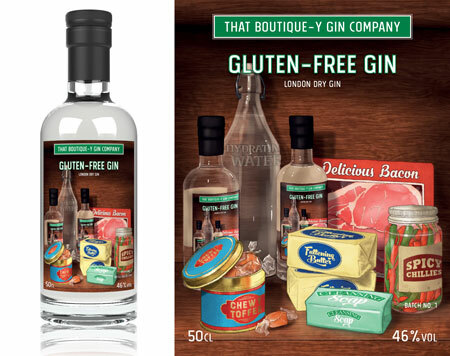 Soon after, they released a flagship, classic London Dry Gin and, in Christmas 2017, they released a White Chocolate and Raspberry special edition gin. Taking a base gin of botanicals used in other McQueen gins, the distillery team have added chocolate and organic, dried sour cherries from Uzbekistan. The gin is 100% distilled - so all of its flavour comes from its botanicals and not flavours added after distillation - and technically qualifies as a London Dry Gin. The founders of McQueen Gin, Vicky & Dale McQueen, sit aboard a rowing boat, floating on a loch in the Trossachs. Dale is picking some fresh fruit from a cherry tree on the bank of the loch, perfect for a garnish to a gin tonic he’s just made or to top a slice of decadent Black Forest Gateau, evidently homemade by Vicky herself. Two other members of the family, dogs Rosie and Snowy, are looking longingly at the bank, probably hoping for a run around. Fill a large wine glass or gin tonic glass with ice, and add the gin, then the tonic. Garnish with a cherry and a dash of chocolate bitters and, for an indulgent touch, some chocolate shavings or crushed Cadbury Flake. A do-it-yourself cream “liqueur”. Stir the ingredients together and then pour into a tumbler. Serve with a couple of ice cubes. An indulgent treat, ideal at the end of an evening, but great any time. Why not pre-batch a few drinks’ worth in a bottle and keep it in the fridge? The recent revival of Old Tom Gin, which had all but vanished 10 years ago, has seen various distilleries innovate to give this historic product a twist, bringing it up to date for the modern day. Old Tom’s were typically sweetened and more botanically intense than other gins, in part to help disguise the flavour of the underlying alcohol on which the spirit was based. Back in the 18th century, distillers would have used whatever was to hand to sweeten gin. In the case of a product like Gordon’s, this was simply pure cane sugar, whilst others were botanically sweetened with liquorice root. In the 21st century, distillers are using a host of different ingredients to add sweetness - and sometimes more complexity - to their gin, including honey, caramelized demerara, stevia and agave syrup. 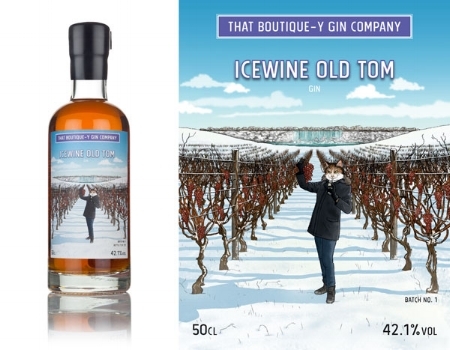 For Icewine Old Tom, That Boutique-y Gin Company has used Canadian Icewine. Icewine is a sweet dessert wine that is made using grapes that freeze whilst still on the vine due to cold weather. The water inside the vines freezes, but the other components, such as sugar and any other solids dissolved in the water, do not. When the grapes are pressed, the must (the juice that comes from the squeezed grapes) is concentrated with the flavours and sweetness of the wine. It also means that the yield (i.e. how much wine you can make) is smaller than a wine made using the equivalent quantity of non-frozen grapes. The main icewine producing nations are Germany (where it is known as Eiswein) and Canada (mostly Ontario), although some is also made in the US, Japan and many central and eastern countries in Europe. That Boutique-y Gin Company’s Icewine Old Tom takes a classic, copper pot distilled gin and adds Icewine from Canada (where in order to be considered icewine, the grapes must be harvested at a temperature not exceeding -8°C). Lemon, lime and liquorice root are also added to the gin’s botanical mix. The label shows our classy cat, looking rather pleased with himself as he strolls through a frozen vineyard, snug as a bug in a rug whilst sipping on a Tom Collins. In the background, you can see the majestic Niagara Falls - a nod to the major Icewine producing nation of Canada. Nose: Intriguing, with a deep muskiness and hints of grapefruit; close your eyes and breathe it in! Taste: Honey and raisins with little flecks of spice and pine. Finish: The sweet complexity of Sauternes with the dryness of a white Pineau des Charentes. A delight for gin and wine lovers. Garnish with a few frozen grapes. Add the Icewine Old Tom and citrus to a wine or gin tonic glass half full of ice and give it a gentle stir. Add the sparkling water and garnish. This recipe breaks with tradition as it is designed to be served in a wine glass or even a gin tonica glass rather than the traditional long and tall collins glasses. The wider-rimmed wine glass makes it easier to appreciate the complex aromas of the spirit, whilst also making it easier to retrieve the grape garnish to munch on when the drink is finished. 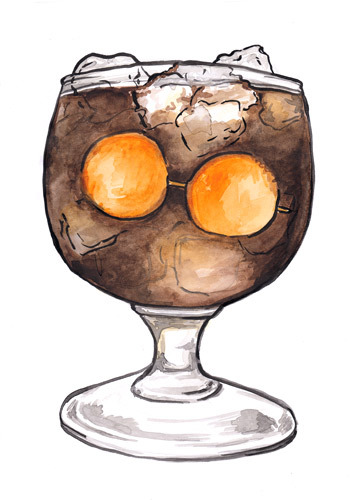 Add both ingredients to a large wine glass - or, even better, a brandy snifter - and add a couple of ice cubes. Garnish with a slice of orange. Add the ice to a tumbler or old-fashioned glass. Pour the Icewine Old Tom over the ice, top up with ginger ale, and garnish with a lime wedge. For a more tart drink, simply squeeze the lime wedge. We have often boasted about the labels that the talented Grace J Ward designs for our assortment of gins. No matter how bizarre the brief (honestly, the amount of times we feel the need to preface them with "Right, so..." is astounding), Grace's work never fail to impress. And it's not just us impressed by them - we've just scooped up an armful of medals from The Design & Packaging Masters! 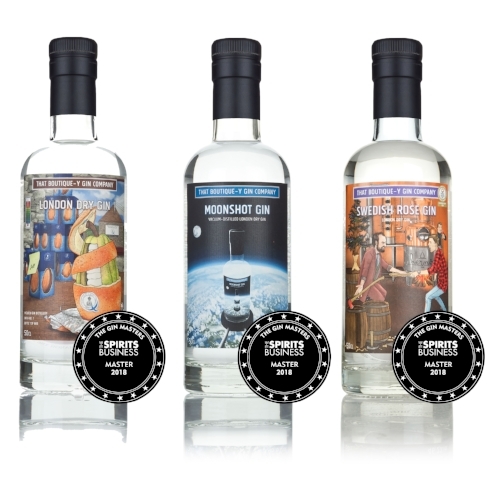 Our Moonshot Gin, Expeditionary Gin and the recently released Yuletide Gin all were awarded Design & Packaging Masters Gold Medals, while our Spit-Roasted Pineapple Gin and Cherry Gin each picked up a Design & Packaging Masters Silver Medal! High-fives all around! These medals are quite an honour indeed, and they most certainly complement the pair of Master Medals from The Gin Masters awarded to our Spit-Roasted Pineapple Gin and Cherry Gin earlier this year.